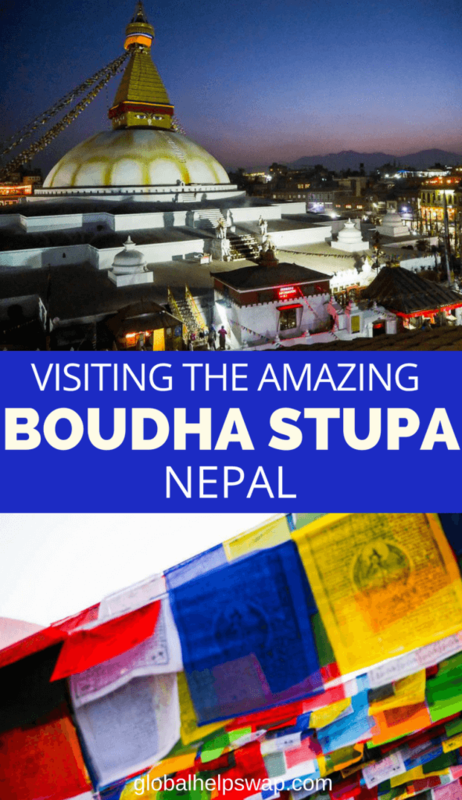 Our visit to the Boudha Stupa in Bodna was one of those unexpected highlights that make travel so exciting. An experience that was both moving and unique. In our countless temple visits nothing has quite affected us in the way our visit here did. Maybe it’s because we went with low expectations or maybe it’s because there was magic in the air. Whatever the reason our experience here was just mind-blowing. We got there in a taxi along the bumpy dirt road that was busy and noisy and full of dust. Shopkeepers beat dust off the jackets hanging outside their shop with willow brooms. In front of them old men with bicycles holding big wire baskets full of colourful fruit sold their wares to women dressed in beautiful saris. Well fed stray dogs walked about or slept in cosy corners that protected them from the cold. People and cars jostled for space creating a wonderful chaos that was fascinating to behold. And right in the middle of all this madness a small archway led the way to Boudha Stupa. 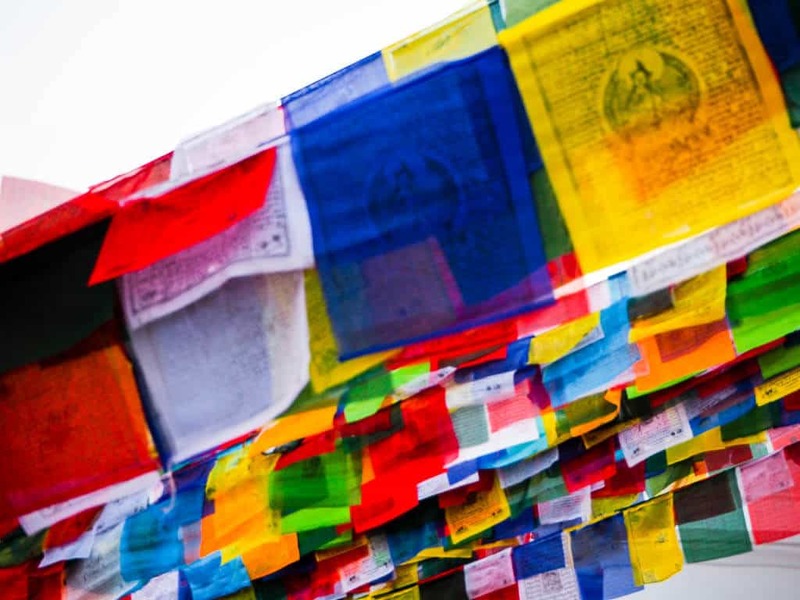 If like me, you hadn’t heard of this religious site before planning a trip to Nepal, here’s what you need to know. 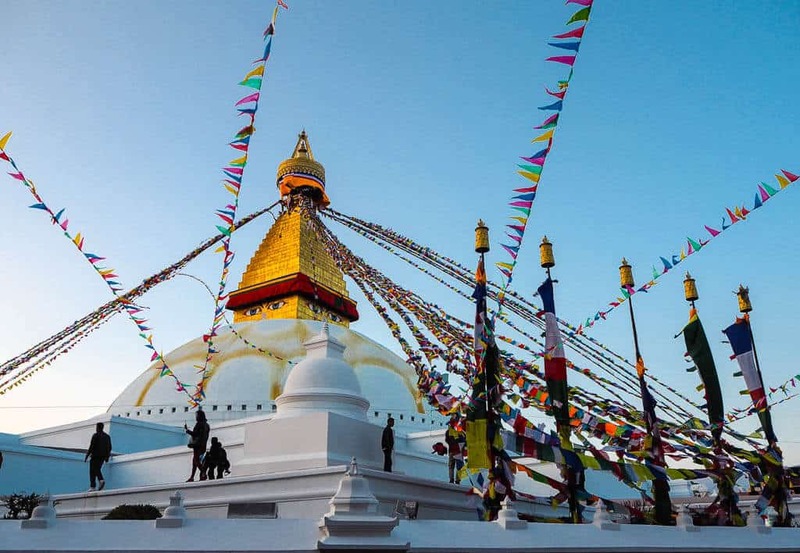 The Boudha Stupa is one of the largest spherical stupas in the world (and the largest in Asia). As you get close to it you see that it dominates the skyline. In 1979 UNESCO declared it a World Heritage Site and it sits on an ancient trading route between Tibet and India. 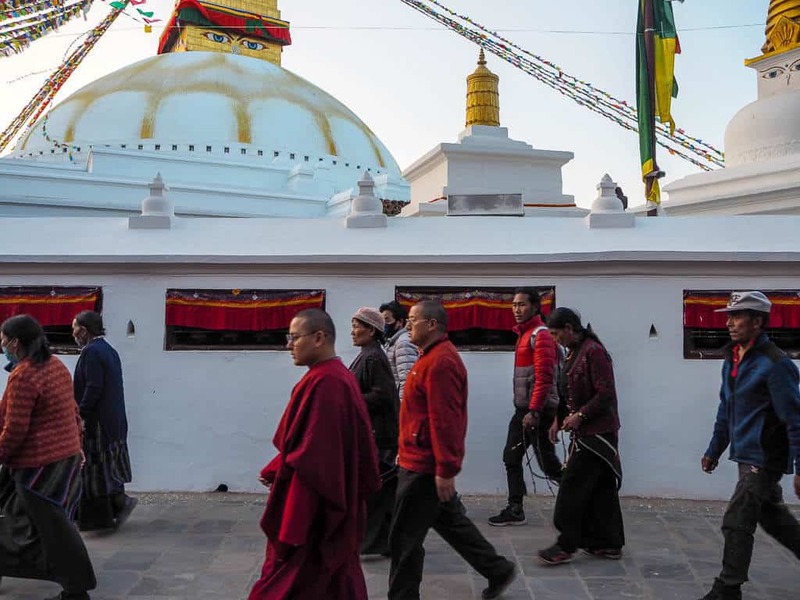 Around Boudhanath (Boudha has many names) there are at least 50 Tibetan Gompas (Monasteries & Nunneries). 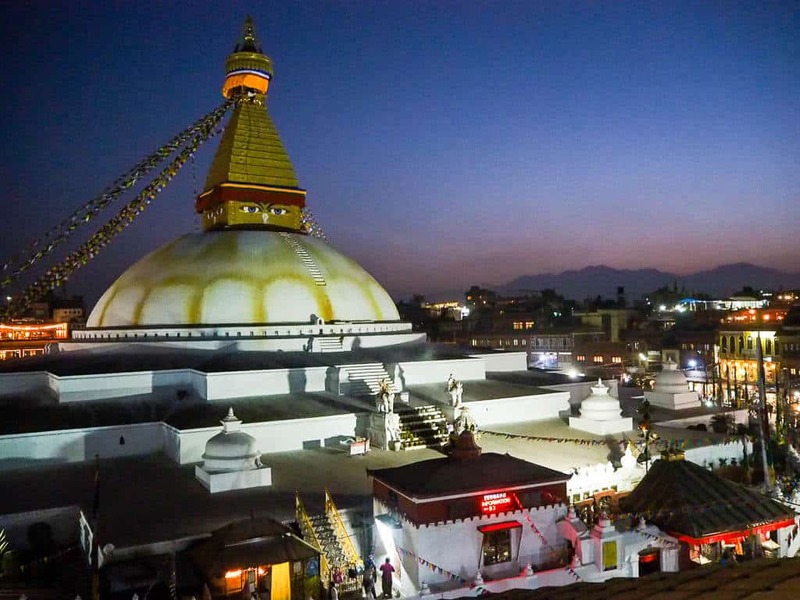 Boudhanath is one of the best places in the world to study Tibetan Buddhism with many foreign students studying in the Gompas. So with this information in mind we paid our 400 rupee entrance fee and walked up to the stupa. I really wish words could do justice to the experience that awaited us. 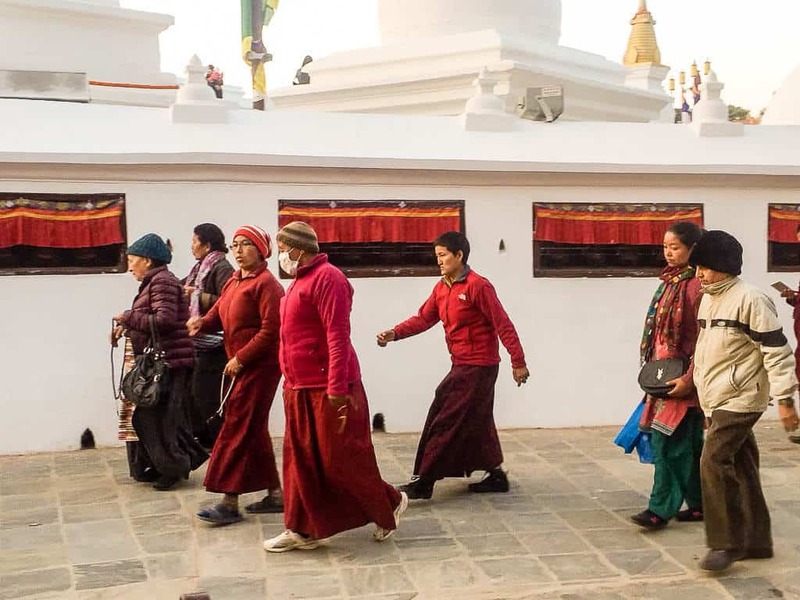 As we walked in we joined hundreds of Nepali and Tibetan people who were slowly walking around the stupa, all in a clockwise direction. 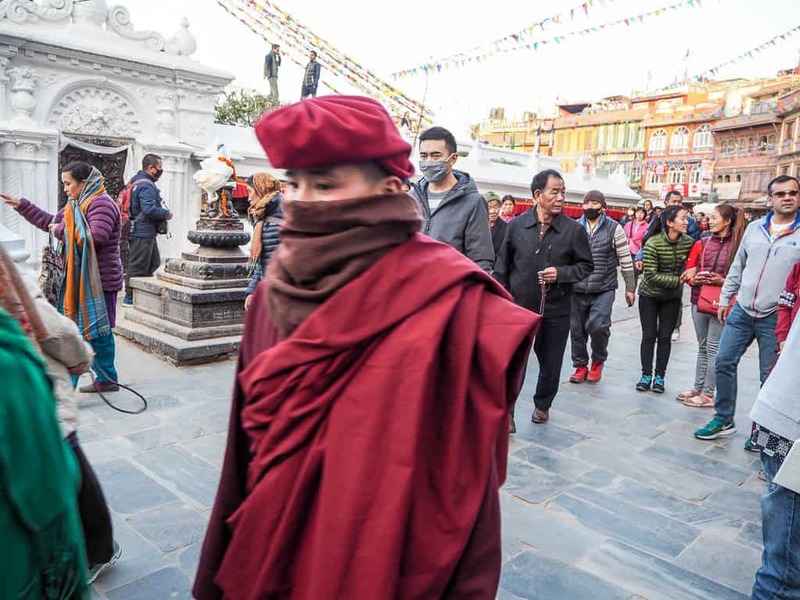 People of all ages, from old ladies with wrinkled faces wrapped in colourful shawls to young monks dressed in red robes walked around the stupa, some in silence, some chanting prayers and some lying flat on the ground before standing up, taking a step and lying back down again. 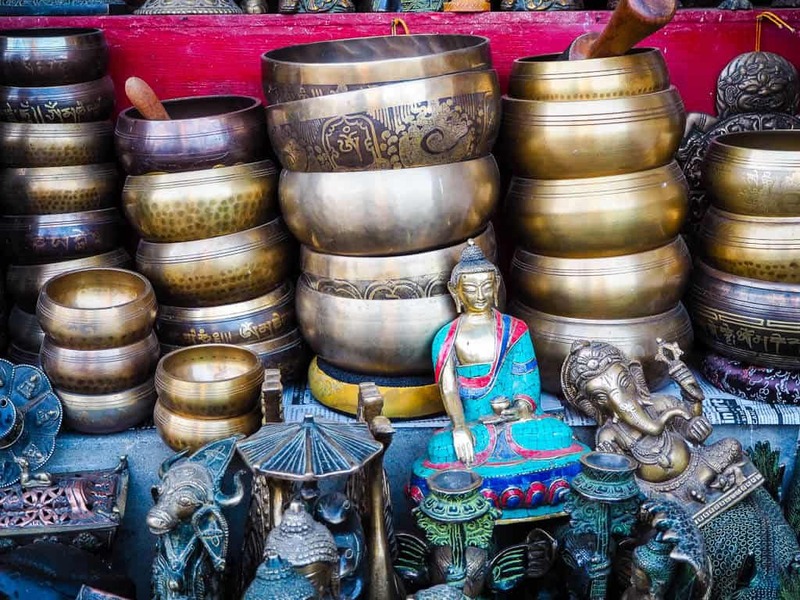 Despite the throng of people the air felt peaceful, the mystical atmosphere helped by the sound of Tibetan music and the smell of incense in the air. Whilst this was a Buddhist site we noticed Hindus also paying their respects. 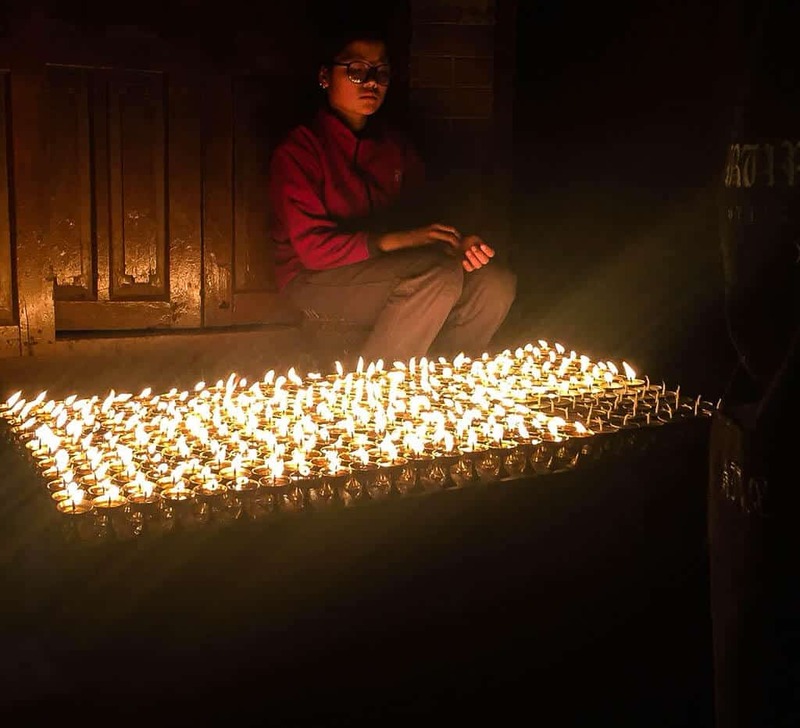 It’s one of those things that really struck us in Nepal. 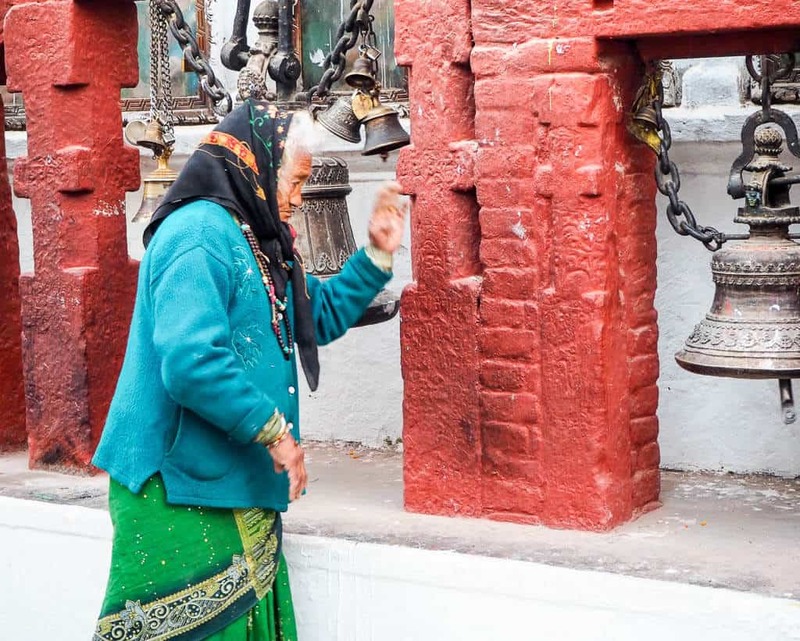 They have quite a relaxed attitude to different religions and will happily worship in temples dedicated to gods or figures other than their own. All around the stupa old Tibetan style houses, Tibetan craft shops, cafes and restaurants created a round plaza that protected this sacred space from the chaos that was just a few metres away. There was so much to take in that Paul and I stood in silence, mouths agape just looking around us. First at the stupa, then at the worshippers and then at the beautiful architecture surrounding us. I felt so moved. I got that feeling of elation you get when you realise you are witnessing something special and rare for the first and probably only time in your life. That, chances are, there is nowhere else quite like this in the world. And you’ve just discovered it. I live for this feeling. We joined the pilgrims and walked around absorbing all that surrounded us. After a few walks around we entered the gateway that took us to the second level of the stupa where we could look down at the tide of people below us. Back down on the main thoroughfare we had fun exploring the various offerings of beads, Tibetan arts and singing bowls and had to restrain ourselves from buying souvenirs so early in our trip. The thought of carrying an extra bagfull of stuff for the next six weeks did wonders for our discipline. As the sun set and the crowd thinned we noticed hundreds of butter candles being lit outside one of the houses. We took this as our cue to find a spot for dinner. We feasted on a vegetarian Thali at Stupa view restaurant, which surprise surprise, has a lovely view of the stupa. And with both bellies and souls full we got in a taxi and went back to our hotel. Taxis from Thamel in Kathmandu should cost around 500 Rupees. Going To Nepal? 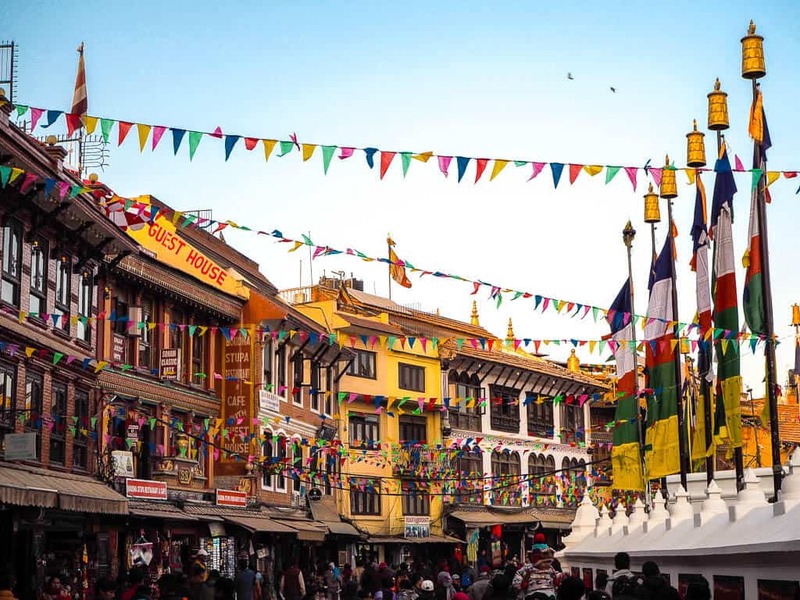 Check out our other posts on Nepal first! Gokarna Forest Resort Kathmandu (An Oasis In The Chaos) – If you are heading to Kathmandu & are looking for a hotel then check out the Gokarna Forest Resort, Kathmandu (An Oasis In The Chaos). Beautiful Nepal I love you (A love letter to Nepal) – Beautiful Nepal I Love You (A Love Letter To Nepal). 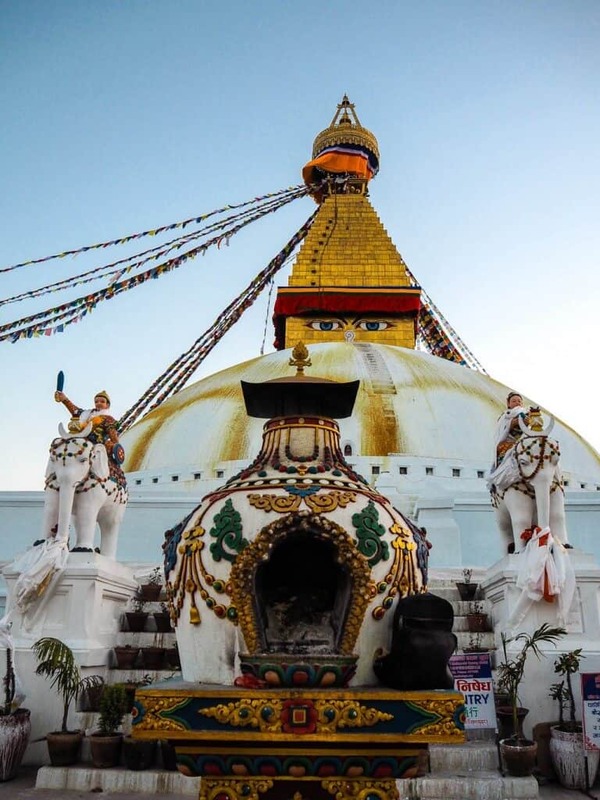 Read why we have fallen in love with Nepal. From the mighty Himalaya to its wildlife, Nepal had us smitten from the moment we landed. Add in Pokhara and the Nepali people and you have the makings to a perfect holiday. The Old Inn Bandipur Nepal | Our Stay In An Ancient Heritage Hotel – If you travelling between Kathmandu & Pokhara then we highly you recommend you stop off in Bandipur & stay at The Old Inn. It is a heritage hotel with loads of character, delicious food & fantastic staff. 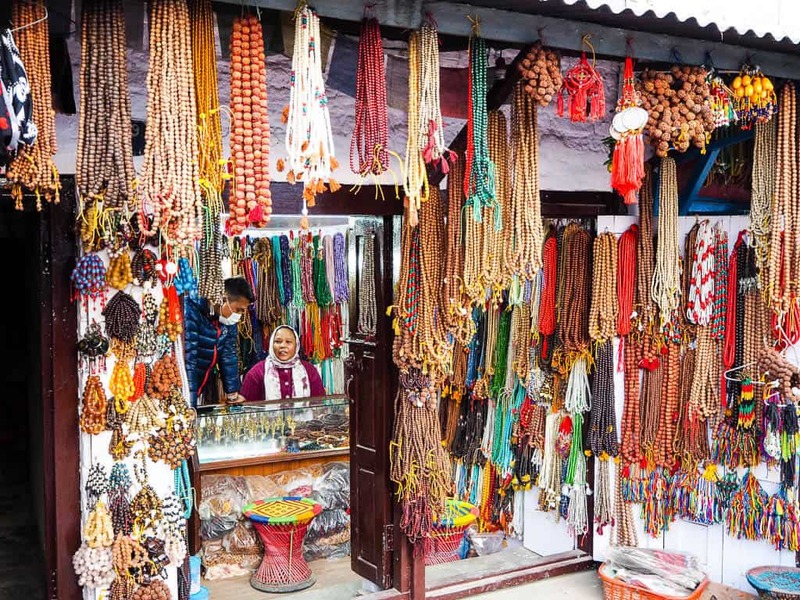 Things To Do In Nagarkot Nepal – If you are visiting Nagarkot in Nepal read our post on the Best Things To Do In Nagarkot before you go. Get ready to see amazing views of the Eastern Himalayan Mountains including the mighty Everest. The Pavilions Himalayas | The Place To Recover After Trekking In Nepal – If you have just trekked the Annurphuna Circuit or are in Pokhara we highly recommend a stay at The Pavilions Himalayas. Not only is it a beautiful hotel with the amazing staff it is also doing things the right way in terms of the environment and the local population. It’s Sustainable Luxury at its best. 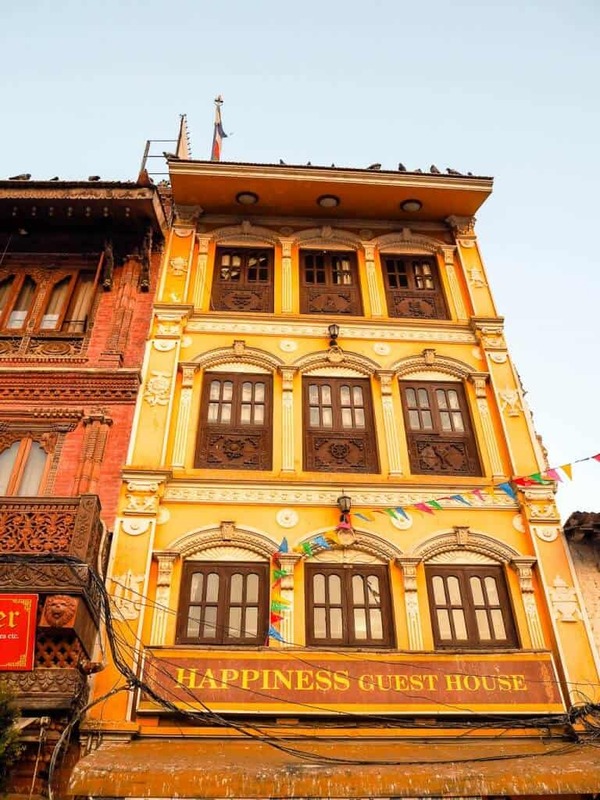 Places To Visit In Bhaktapur Nepal – If you are visiting Nepal, check out our favourite places to visit in Bhaktapur Nepal before visiting this historic city. We list hotels, temples and more!